A primary objective may be marketing. Profit takes a backseat to reaching your audience with a message that can increase revenues in other ways or increase awareness of your brand and mission. You have come to understand that Amazon’s search engine is of growing importance and a necessary place to present information about your brand, services, or products. 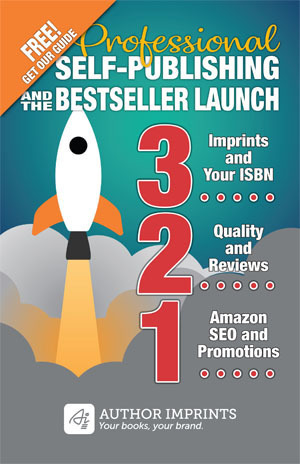 You probably already have the ability to promote and market your book. In this case distribution via Amazon and other retail channels is less important. It may merely serve to supplement direct sales or distribution to your own channels—your website, social media, and mailing lists. A book may be only one element of a service offered to your customers. In other words, book publishing is not part of your internal capabilities, so you need someone you can trust to outsource to. Selling books direct to readers from your website, or making eBooks available as free downloads. Optimizing book titles, subtitles and other key metadata for search engines to help market your business or content topics. Applying content marketing principals to marketing your content via trade publishing. Support for your control over the presentation of your book. Privacy and confidentiality to protect your brand and/or book project. San Diego Reader has nearly 40 years of articles and related content in their archives. Their objective was to republish the content as eBooks to help broaden their brand as a publisher and provide a benefit for their writers. AuthorImprints recommended establishing a formal imprint (Reader Books) and branding strategy that included presenting books in a series of categories. We developed book cover design guidelines, an online selling strategy, content publishing guidelines, and marketing programs; and integrated these with existing publishing and promotional efforts. During our engagement we produced 23 eBook titles and three paperback books under their new imprint. Once established, we provided training and developed procedures to transition ongoing publishing operations to internal staff. Assisi Bio Press publishes authoritative, educational books about natural health supplements. Used as a consumer education tool, the books help to support other divisions of the company. AuthorImprints consulted with the organization to craft an imprint and publishing plan to protect its independence and widely distribute the books we produce on their behalf. Company staff was trained on day-to-day management while we continue to manage marketing to the online bookselling channel. Founded in 1889, the Tulare Irrigation District is the fourth-oldest irrigation district in California . Their objective was to publish their 127-year history in print form for posterity. Traditional book sales—via Amazon or otherwise—was not a priority, and in fact could come at the expense of supporting their local community, an important criterion for such an institution. AuthorImprints worked closely with the author they hired to write the history to produce this historical keepsake. The result is a 480-age hardcover edition sold directly and through local outlets to general readers, water districts, historical societies, and libraries in California.